PNG Minister for Communication, Information Technology and Energy Sam Basil stated the reasons to further extend the deadline was to allow NICTA and PNG Council of Churches to forge the partnership to reach SIM card and mobile phone holders in remote areas for mobile operators to reach out registering both in rural and urban centres. And, yet again, disappointed NICTA CEO Charles Punaha has said despite more than enough time of two years since it started the SIM card registration process has gone with the difference still huge. 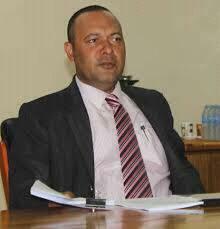 “For Telikom PNG they have only registered 54 per cent yet to register 46 per cent. Bmobile-Vodafone they have registered 75 per cent and they are yet to register 25 per cent,” Mr Punaha said. He said those SIM cards that are yet to be deactivated, subscribers will have 30 days which is in line with the number cycle period for them to come forward and get themselves registered for them to retain the same number after today. He noted disappointment that Port Moresby had only 58 per cent of its SIM card numbers used registered. According to previous NICTA reports of the 2.8 million mobile SIM subscribers, Digicel has an estimated 2.6 million, Telikom PNG 72,000, and Bmobile-Vodafone 156,000. Around 40 per cent of all 2.8 million SIM cards circulated around Papua New GUinea are still not registered despite an additional extension made in May by Government.